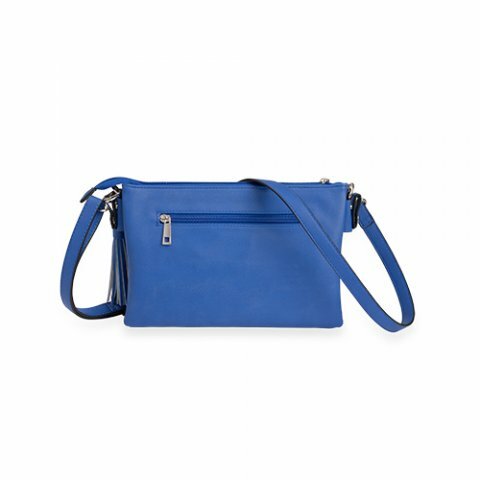 Tons of topstitching, a trendy tassel and a vibrant blue color make this the most scrumptious handbag ever! 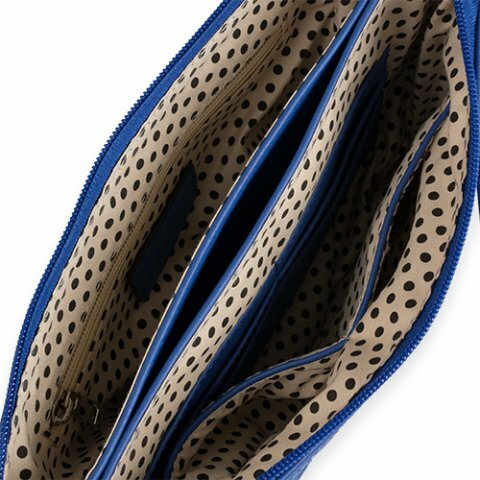 The interior features six card slots and two pouch pockets and a zippered pocket with a playful polka-dotted lining. The exterior has two D-rings on the sides and a zippered pocket on the back for easy access to essentials. 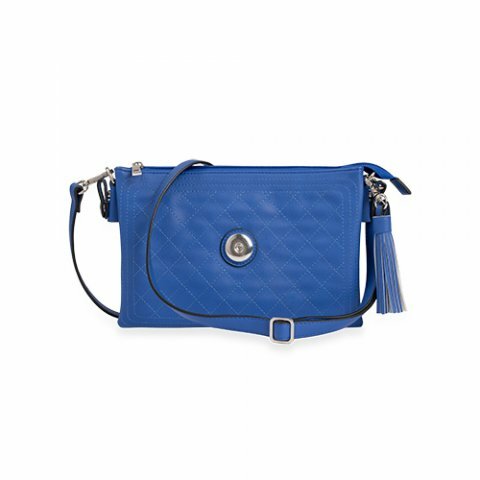 With such fantastic features, the Quilted Hip Bag will be your first choice when you venture out! Removeable shoulder strap adjusts from 26" to 46"